Growing up on a farm in Western Colorado, I spent countless hours outside. When you are outside there are no walls or ceilings...only windows! Come along with me in my series "Guest in the Garden" as we look into the window of the gardening world. The fantastic illustrations and wording of the stories will excite young children to go outside and discover the wonders of nature! Ruby and Rocket - beautifully illustrated children’s book about a brother and sister hummingbird who discover a backyard garden. Come along with Ruby and Rocket to learn fun hummingbird facts, flower facts, and a life lesson of learning to be friends when you are siblings. Oliver the Toad - a delightful story will take your child on a journey through a vegetable garden where they will learn toad facts, vegetable facts, and the life lesson of responsibility. 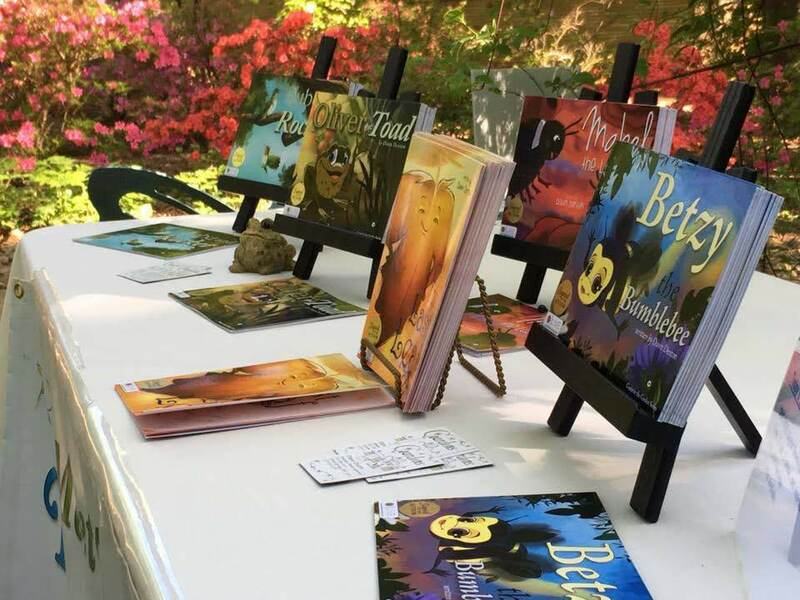 Betzy the Bumblebee - beautifully illustrated children’s book that introduces your child to bumblebee facts, pollination facts, wildflower facts, and the life lesson of learning to love being you. Mable the Ladybug - this story takes place in an herb garden and features an older, wiser ladybug who teaches the younger ladybugs about the importance of their job as well as how to work together to accomplish their tasks. Your child will learn about ladybugs as well as a life lesson on learning to wait. The Last Leaf - The Last Leaf was written specifically for early readers. It is a rhyming book for ages 2-6 about what it would feel like to be the last leaf on a tree in the fall. Your young child will expand their imagination as they think about all the feelings a last leaf could have. The pictures are perfectly done to illustrate the leafs emotions. Books can be purchased directly from Dawn on her business Facebook Page. Simply click on the title of a book above and follow the link to place your order. They are age appropriate for children 4-9. Once you have placed your order, Dawn will contact you through email for further details. Thanks and Enjoy the Wonders of being Outside!